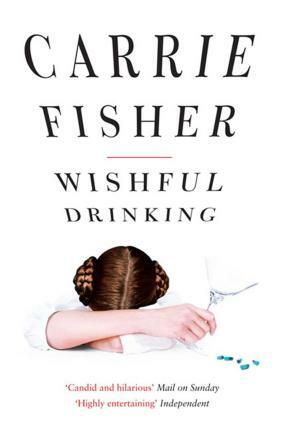 In Wishful Drinking, Carrie Fisher told the true and intoxicating story of her life with inimitable wit. Born to celebrity parents, she was picked to play a princess in a little movie called Star Wars when only 19 years old. "But it isn't all sweetness and light sabres." Alas, aside from a demanding career and her role as a single mother (not to mention the hyperspace hairdo), Carrie also spends her free time battling addiction and weathering the wild ride of manic depression. It's an incredible tale: from having Elizabeth Taylor as a stepmother, to marrying (and divorcing) Paul Simon, and from having the father of her daughter leave her for a man, to ultimately waking up one morning and finding a friend dead beside her in bed. Carrie Fisher's star-studded career included roles in numerous films such as The Blues Brothers and When Harry Met Sally. She was the author of four bestselling novels, Surrender in the Pink, Delusions of Grandma, The Best Awful and Postcards from the Edge, which was made into a hit film starring Shirley MacLaine and Meryl Streep. Carrie's experience with addiction and mental illness - and her willingness to talk honestly about them - made her a sought-after speaker and respected advocate. She was truly one of the most magical people to walk among us. Carrie Fisher, the daughter of Debbie Reynolds and Eddie Fisher, became an icon when she starred as Princess Leia in the original Star Wars trilogy. Her star-studded career includes roles in numerous films such as The Blues Brothers and When Harry Met Sally. She is the author of five bestselling novels, Wishful Drinking, Surrender the Pink, Delusions of Grandma, The Best Awful, and Postcards from the Edge, which was made into a hit film starring Shirley MacLaine and Meryl Streep. Fisher's experience with addiction and mental illness -- and her willingness to speak honestly about them -- have made her a sought-after speaker and respected advocate.